Property maintenance reduces liability for injuries, extends the life of appliances, reduces costs of repairs, and enhances the overall property value. A good baseline for developing a property maintenance plan is to conduct an initial inspection. That may have been performed in conjunction with the purchase of the property, but if not, it’s never too late. Find out what you need to know about all the major systems, any deficiencies that must be treated immediately, and note the age of appliances, exterior paint, and roofing so these items can be incorporated into a long-term planning calendar. 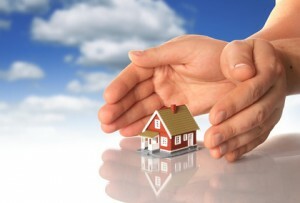 The top priority for any rental property is tenant safety. That can include anything from carbon monoxide risks to emergency exits and outdoor lighting. The next priority is minimizing property damage. Water leaks and fires are the most common culprits. Beyond that, pests, drainage and ordinary wear and tear should be addressed. Converting the plan into a schedule is an efficient way to carry out maintenance. That may include daily items such as a visual inspection of the grounds to a 20-year replacement date for furnaces or roofing. Routine inspections must occur on a regular basis. Because it’s easier to inspect the exterior and common areas, most on-site managers do a simple visual inspection as often as daily, and a more detailed inspection after any major event like a storm. Interior unit inspections can occur less frequently, at anywhere from 6-12-week intervals. Routine maintenance — like changing furnace filters and smoke detector batteries or fixing faucet leaks — can be performed at the same time. Furnaces, air conditioners, and water heaters typically are inspected and serviced once per year. Roofs and larger exterior features like fences might be inspected once per year or seasonally, depending on the property and climate. Replacement schedules for appliances are based on average life. Ask inspectors about any new updates to building or safety codes that change over time. Day-to-day repairs are another facet of property maintenance. Track each appliance by model and age so it’s easy to speak with contractors and schedule repairs. Use the expected replacement date to determine if an estimate for repair is more cost-effective than replacement. Keep costs to a minimum by using the same contractors whenever possible. The best people may charge a little more per hour, but the higher skill level can save money in the long run, especially where the contractor is licensed, insured, and screens employees. These relationships pay off when it counts — current customers will receive higher priority and jobs are more likely to be completed on time. Choose contractors who care about their reputations and offer warranties on their services. Anticipate the cost of major replacements and earmark those funds. Also, set aside some cash for emergency repairs. Along with a copy of the maintenance plan, keep copies of inspection reports and repair receipts. These documents are a great selling point for a buyer, can be used in court or dispute resolution, are useful for the accountant, and help with long-term budgeting. Enhance tenant retention by sharing the maintenance plan with tenants. Provide notice of scheduled maintenance so tenants can plan around the noise, mess, or inconvenience. Tenants generally approve when properties are kept up, so long as the project stays on schedule and is properly supervised.